Giuseppe Verdi’s world-famous opera tells the story of Aida, an Ethiopian princess held captive by the Egyptians. When she and Radamès, an Egyptian general fall secretly in love, they are torn between each other and their loyalty to their countries — and subject to the jealous Amneris, the daughter of the king who also loves Radamès. In this climactic scene, Anita Rachvelishvili’s Amneris pleads with the high priest Ramfis, played by Dmitry Belosselskiy, to show mercy for Radamès, who has been condemned to death. 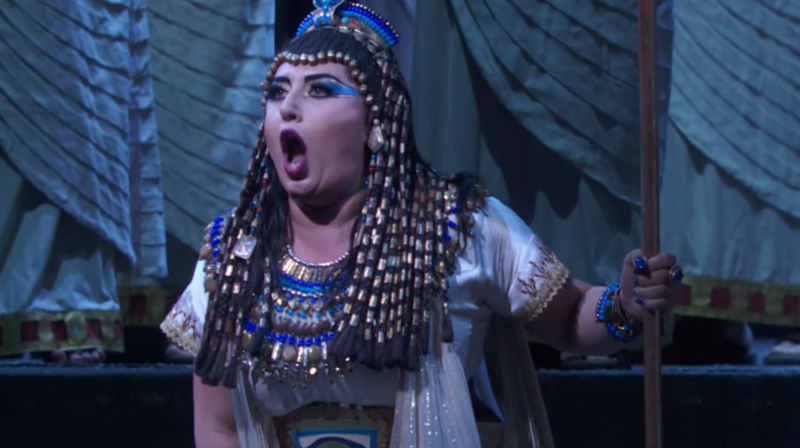 Watch the video below to get a glimpse of The MET’s star-studded production of Aida, then click on the link above to book your tickets to Aida.